Choose how you want to share your form: direct link, integration into a page of your site, social networks ... there are many possibilities! 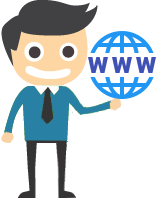 Each form has its own URL that you can provide to your users. With this link, they can fill the form from any browser and even on their smartphones! Integrate the form in your site! 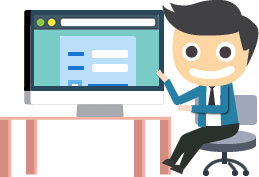 We provide an HTML code to integrate the form directly in one of the pages on your website! Our forms are designed to be easily integrated in most websites, and require only a simple copy / paste into the code of your page! 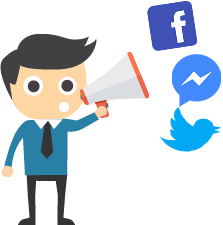 Directly from OxiForms, you can post your form on social networks (Facebook, Twitter) and allow your contacts to share it in one click! 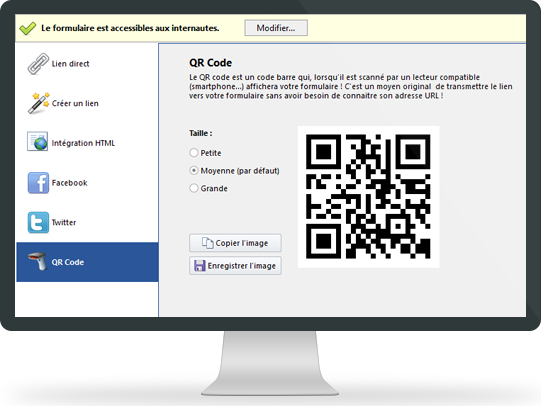 OxiForms automatically generates a QR Code which provides direct access to the form! An original distribution method well suited to mobile uses!